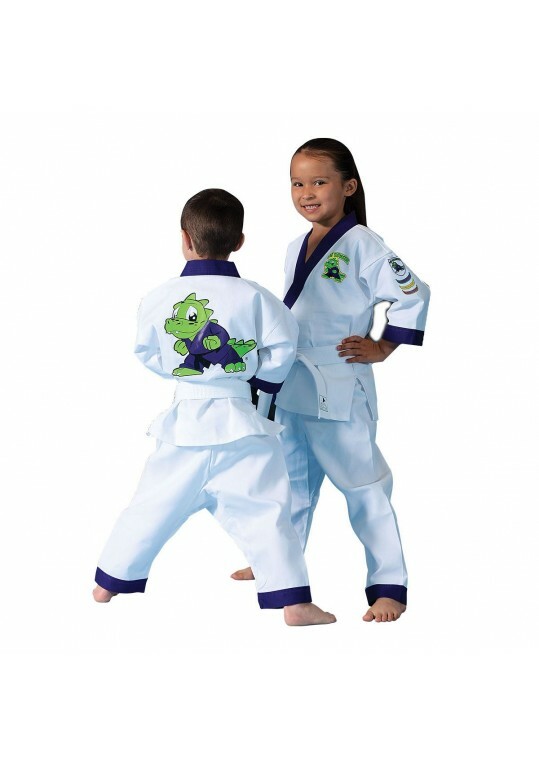 Used by Lil' Dragon martial art programs everywhere, this jacket is ideal for young martial artists. 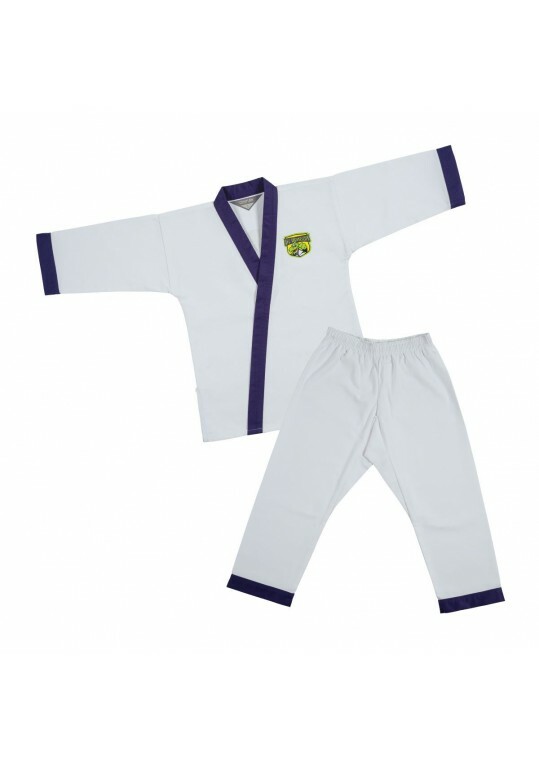 Includes purple trimmed pants and a pullover-style jacket with hook-and-loop closure. 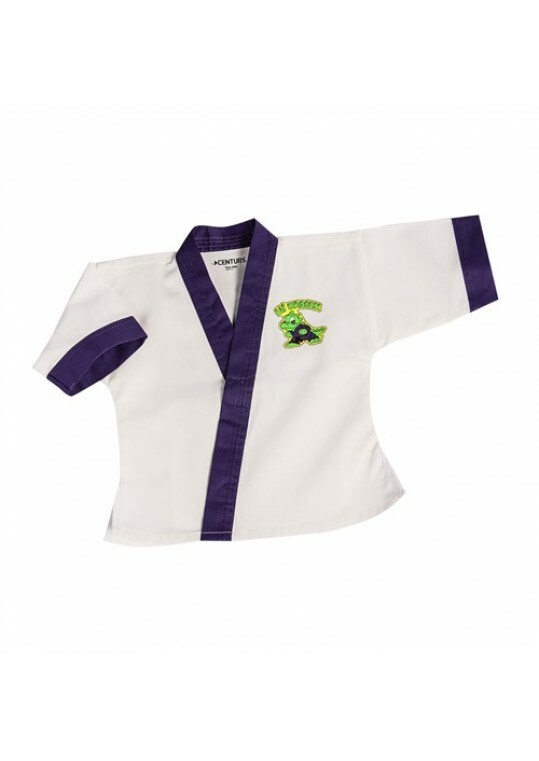 Made of a cotton/polyester, wash-and-wear fabric, the uniform has a 1.25-inch elastic waistband and internal drawstring. 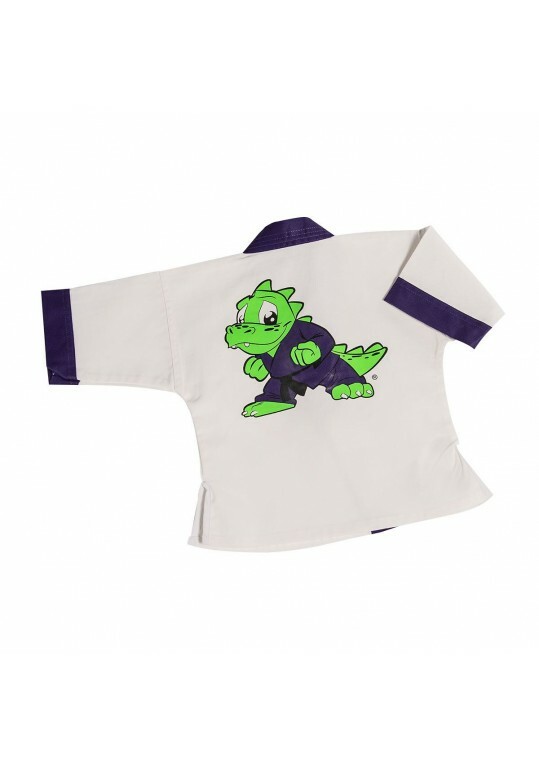 The jacket features Lil' Dragon screen prints. Patches sold separately.